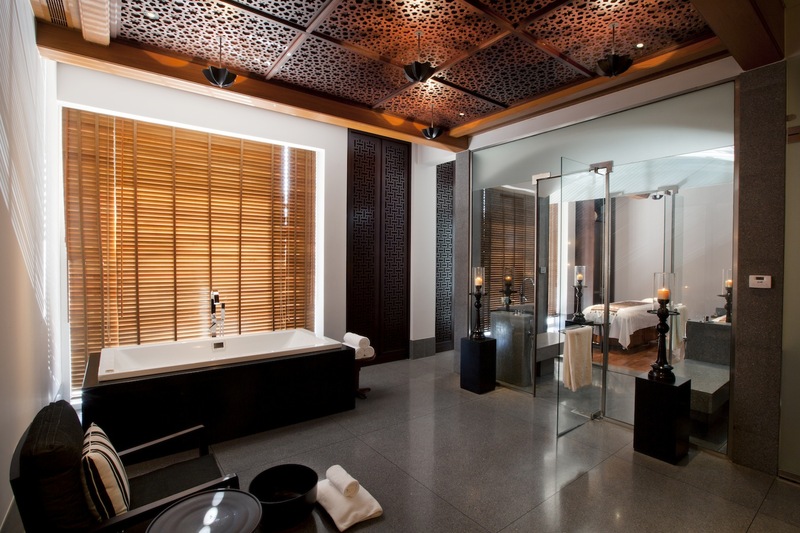 Have you ever been to The Chedi? Quite a few years ago a good friend coined a phrase which I've used ever since, he said he was going for a trip to "Planet Chedi". The reason being that once you get to the hotel, it's almost as if you have left Muscat behind for a little while and can just enjoy the understated luxury that is often found there. Like it's another world. Standard operating procedure for Valentines day: Flowers and dinner. Now, there are quite a few spa's in town now, but arguably the best and most consistent spa in the city is The Spa found at The Chedi. Now, as is often the case, the best comes at a price. If you'd like to pamper your loved one, you might want to consider a treatment at The Spa, there is a full list of treatments available (click here), but for Valentines day you could consider a couples bath and then Balinese massage in one of their couples treatment rooms. RO 88++ per person though. Alternatively, for RO 50++ per person, and a bottle of wine is included, you could have a six course meal at The Beach restaurant. 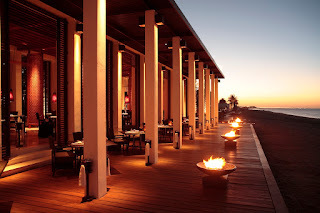 The Beach Restaurant, whilst reinforcing The Chedi's love affair with calling everything The.... (I'm going for dinner at The Beach Restaurant at The Chedi, and I suspect at some point during the meal I might go to The Toilet too). is also a pretty special spot for a romantic dinner. The water is about 25m away from the terrace at high tide and it's a pretty nice place to take your special someone for dinner. Don't bother. Their restaurants are always booked out!